Want more for your marketing dollars? If you’ve used Google in the last 6 months you can see that the pay-per-click ads dominate the page. If you want to get found on Google and want more patients, PPC is clearly the answer. But, how do you know which PPC firm to sign up with, which one is legit versus a fake, which one will get you the results you want, more patients calling and scheduling appointments? There are a lot of fly-by-night companies that will tell you how great they are at getting “results” for your medical advertising dollars, but don’t take things at face value! These fake PPC firms will take your money and leave you without the new patients you want. 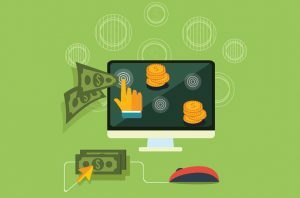 Make sure you get answers for these six questions before spending another dollar on your medical pay per click budget. 1. Does your medical PPC management company report qualified leads or every click under the sun? Ask them specifically how they verify whether or not the clicks coming from your medical PPC ads translate into qualified leads. In other words, can they actually tell you how many new patients came from clicking on those PPC ads you purchased? It’s one thing to present a report of “trackable calls” or “calls and emails from PPC” with big, impressive numbers—but who cares if 589 people clicked on your PPC ad last month when you didn’t actually get any new patients from those clicks? The number of new patients that scheduled an appointment from the PPC ad is the number that matters, and if they can’t show you that, your medical PPC management firm is probably just blowing smoke in your face. 2. Ask them if their primary focus is new patients scheduling appointments or just increased website traffic? Google pulls up PPC ads using a system of keywords, just like it does when it’s generating organic search results. If someone searches for “hearing aids in [your town]”, Google will pull up PPC ads that fit that search query. The more appealing an ad is to the person who typed in the query, the more likely they are to click on it and follow through to your website. For example, your ad might mention “discreet hearing aids” or “high-tech hearing aids” or something of that nature that might induce someone to investigate further. But if those click through moments don’t translate into people scheduling appointments, what good is your audiology PPC budget really doing? And what value is your medical PPC marketing firm really bringing you? Traffic doesn’t matter—new patients matter. MedPB is constantly refining, modulating and evaluating the keywords we use for our medical PPC ads so they generate qualified, target users who are more likely to call you for an appointment. This keeps your medical advertising budget working for you. 3. What are the conversion rates of their medical PPC ads? Conversion rates = the amount of actual new patients that came from a PPC ad clicks. The goal of any audiology PPC firm will be to create ads that hit the right pain points with potential patients, so they’re motivated to call or email you for an appointment. This should be your agency’s top priority! Before signing up with any medical pay per click agency, insist on seeing the historical conversion rate for their portfolio. If they are hesitant about this, it’s a good indication that they aren’t really in the game to help you grow your practice. 4. Is your medical advertising firm a Jack-of-all-trades, master of none? You don’t go to a mechanic to have your shoes repaired. You don’t visit the bakery to buy hearing aids either. Generalist PPC firms don’t have the specialized understanding of just how hard it can be for potential patients to overcome the stigma and fears they may have about calling your office for a hearing test. They simply don’t understand your market — your patients. And without this very specific sort of target market wisdom, their medical advertising, whether it’s PPC, SEO or any other form of marketing, will fall flat and not convert hesitant clickers into happy hearing aid wearers. 5. Do they insist upon a long-term contract? If a medical PPC agency tries to strong-arm you into a contract that lasts 3 or more months, consider it a wildly-flapping red flag warning. While it’s true that PPC efforts can take a few weeks to germinate results, with medical, and particularly audiology PPC, results should show up in a month to 45 days. How awful it would be to pay anywhere between $2000 and $4000 a month for that long and not have new patients calling from those efforts? That’s like tossing money down the drain! And yet, we’ve heard stories just like that. This is why MedPB only does month-to-month contracts. This spurs us on to intense action for your sake. We want you to sign up again next month because you are happy with the results. It ensures that you get good results from your medical advertising dollars: new patients. 6. Do they create relevant landing pages to welcome people who click on your PPC ads? One final tactic that really drives conversions are landing pages that correspond directly with the keywords we use in PPC ads. A click on a MedPB™ PPC ad takes a prospective patient to a customized landing page on your website that talks about exactly what they were looking for. It’s not just a link to the general homepage. This personalizes your visitor’s experience. It includes testimonials from other happy patients, a map showing how close your practice is to them and answers several other questions they probably have about your services. The whole experience is geared towards helping your visitor decide that they definitely need to schedule an appointment. Use your marketing budget wisely and get more new patients with specialized audiology PPC campaigns — talk with us today.